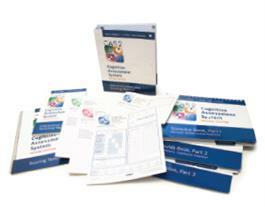 Planning – cognitive process requiring the individual to determine, select, and use a strategy to solve a problem. The subtests require the solving of novel tasks. The three Planning subtests are: Planned Codes, Planned Connections, and Planned Number Matching. Successive – cognitive process requiring the serial ordering of things. The four Successive subtests are: Word Series, Sentence Repetition (ages 5-7) or Sentence Questions (ages 8-18), and Visual Digit Span.